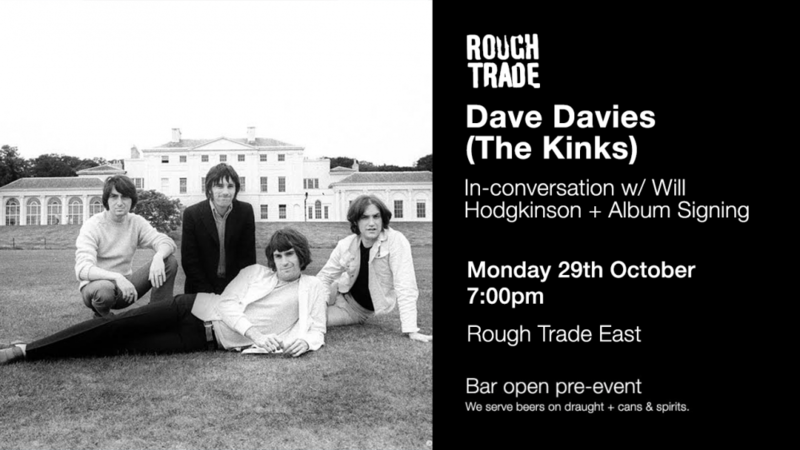 To celebrate the 50th Anniversary release of ‘The Kinks Are The Village Green Preservation Society’, (available 26th October via BMG), Dave Davies of The Kinks will be in-conversation with Will Hodgkinson at Rough Trade East on Monday October 29th. Pre-order the album and wristband to guarantee your entry and to claim your album on the night of this event. Or purchase in store on the night of this event.